Meeting in Strasbourg on 27-30 November, the Council of Europe Steering Committee on Media and Information Society (CDMSI) went through the details of a draft “Declaration on the financial sustainability of quality journalism in the digital age”. The text proposes for example to create “redistribution mechanisms between online platforms and media companies” and to “support measures to counter the progressive deterioration of the working conditions of journalists”. Most of the discussion was dedicated to the preamble of the draft Declaration: whereas most delegations agreed that “quality journalism extends the range of diverse, credible, interesting and timely information available to the public and counteracts propaganda, misinformation and disinformation proliferating on social media in particular”, the Russian delegation challenged the reference to propaganda, misinformation and disinformation, allegedly because these terms are not legally defined by the Council of Europe itself. The text was finally endorsed with the “reservations” of Russia. This occurred in the particular context of the freezing of the financial contribution of the Russian Federation to the Council of Europe since the suspension of its voting rights at the Parliamentary Assembly after the annexation of Crimea in 2014. 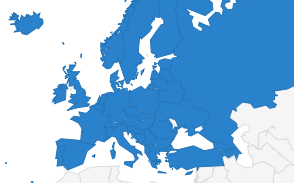 This financial crisis has a significant impact on the Council of Europe’s resources (10% staff reduction) and some even fear a potential “phasing out” of Russia from the organisation. The meeting also examined the state of play and the perspectives of the Platform for the Protection of Journalism and Safety of Journalists. 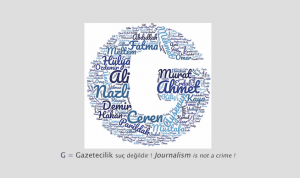 It reached nearly 500 alerts since its creation four years ago, the EFJ being the main contributor. Although the Platform is a unique tool for centralisation of information and advocacy work against press freedom violations, half of the alerts were not followed by any response by member states and the number of alerts tended to increase in recent months. The future priorities of the Platform are therefore to increase the level of reaction by member states, to fight against impunity and also to use the data in order to identify “systemic threats” in some countries or certain contexts. 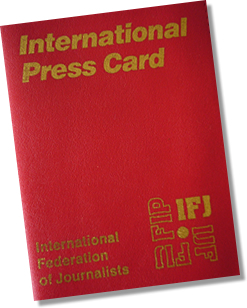 The meeting accepted the Committee to Protect Journalists (CPJ) and the International Media Support (IMS) as new observers. 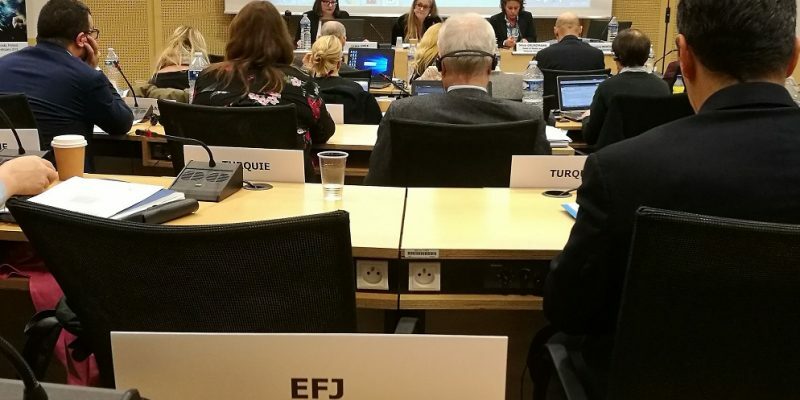 These two organisations often work in collaboration with the EFJ and their presence at the CDMSI will certainly reinforce our joint efforts in the defence of press freedom in Europe. A Conference of ministers responsible for media and information society will take place on 28-29 May 2020 in Nicosia (Cyprus), to deal with artificial intelligence, new media environment, safety of journalists and media education. Details of this Conference will be discussed next year. All the documents related to these topics and more information are available here. The EFJ is an observer member of the Steering Committee on Media and Information Society (CDMSI).